In its second year, The Ride to Conquer Cancer has emerged as Canada’s most successful cycling fundraiser. Yesterday, The Princess Margaret announced that 3,530 participants from across North America raised $14.5 million. 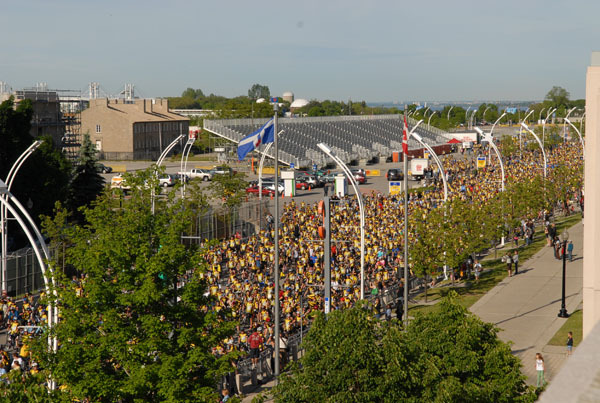 Register today for the 2010 Ride to Conquer Cancer event. There are some exciting new additions to the 2010 Ride. First, if you know you can’t ride on June 12-13, 2010 but want to raise money for The Princess Margaret, you can still be a part of the event by doing it online, thanks to our new Virtual Rider Program! Or, if you want to challenge yourself with a longer route, we’ve added a 200-mile Double Century, while still offering the 200km Double Century route that has sold out the past two years. Both routes will share the same Start Line, Camp and Finish Line at Niagara Falls. For more information on all of these changes, please visit www.conquercancer.ca or phone (416) 815-RIDE (7433).